Conscious parenting. Intentional parenting. Gentle parenting. All variations on the same theme. You could read a hundred books or listen to a thousand podcasts on parenting. You could have endless conversations with other parents about how you do it compared to how they do it. You could try all the strategies suggested by the ‘experts’ to solve the challenges you face each day and still never find the one that works. There sure is a lot to be said on how to do this whole parenting thing. But I believe there is one approach, one ‘style’, that trumps all the others. It’s the one that doesn’t rely on a raft of strategies to change a child’s behaviour. It doesn’t rely on ‘perceived wisdom’ or the opinions of others to determine what you should or shouldn’t do to, for or with your child. Instead, it allows you to be guided by what truly matters to you when it comes to being a parent and raising your child. The very reason you’re doing this. You might want to take a minute to reflect on that. Why are you doing this? What’s important to you when you think about what you want out of being a parent and raising your child? I think these are all meaningful questions, but they’re questions that I bet you don’t get the chance to answer as you rush through your day, doing all the jobs and getting pulled in every direction trying to meet all the needs of everyone around you. Pick up your FREE Mindful Parent prompt sheet download at the end of the page. But when we just ‘do’, with little direction and not much thought as to where we’re going, it’s unlikely that we’ll be half as successful as we would like to be. When you set out to travel to a new destination, you plan your journey or otherwise have a guide to get you there, right? Because if you didn’t you’d end up losing your way. 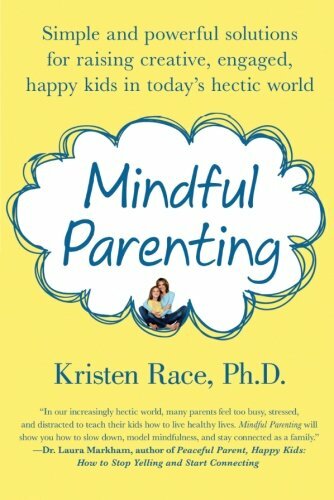 The act of being a mindful parent is the road map for your parenting journey. It guides your thoughts and your actions – and ultimately influences whatever you define as your success as a parent. It’s often said that children don’t come with a manual. And yes, being a parent is one of the hardest – if not the hardest – things you will ever do. But if there's one thing that will make it easier, it's being mindful in your approach. 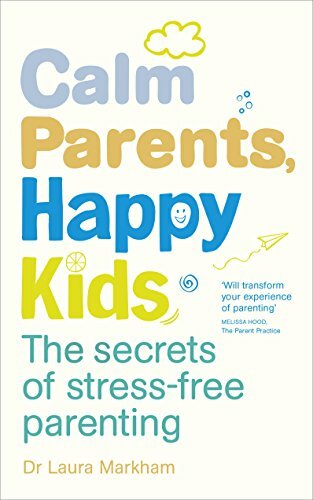 “Those parents who succeed [in achieving their parenting goals] seem to have a secret: they’re more peaceful, calmer, but they also stay more connected – to their kids and to their own wisdom”. Now you might be wondering what a mindful parent actually looks like. Well, that’s up to you! There’s no prescribed ‘way’ of being mindful, no specific ‘strategies’ to implement, or ‘rule book’ to read. You might find that there are things you need to do to on a regular basis to nurture yourself so that you can find it within you to be patient, to be understanding and to be loving. Even (and especially) in the most trying of moments. This might be taking some time to yourself to do that thing you know makes you feel great, or it might be coming up with a mantra to get you through when you can’t just drop everything and retreat to your happy place. (Oh and it helps to remember that, even when you think you haven’t got it together, you have really). Whatever happens, hold your relationship at the centre and stay connected. When it comes to being a parent - when it comes to raising your child - remember your why. Because this will be the filter for the choices you make. And if you want to reach your final parenting destination, it really is the only way to go. Subscribe below for monthly mindful parenting inspiration and receive a FREE ‘Being a Mindful Parent’ downlodable prompt sheet to help you on your mindful parenting journey. And if you’re a mother who wants to continue the conversation with a like-minded crowd, then join our ‘Mellownest Mindful Mothers’ group on Facebook. Sign up with your email address to receive updates and your free Mindful Parent prompt sheet. We only send helpful parenting based tips, information and offers for Mellownest members. Thank you! If your prompt sheet doesn’t arrive then make sure you check your junk folder as we sometimes end up in there!